An easy gentle exfoliating diy lip scrub recipe, made with just a few natural ingredients from the grocery store in just a couple minutes. 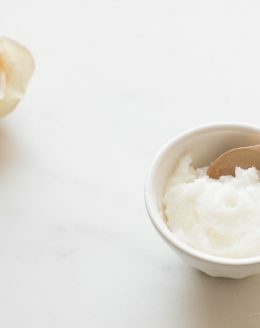 This homemade sugar scrub will gently massage the dead skin from your lips using coconut oil and sugar as a natural exfoliant. Combine ingredients and stir until blended.